Posted in: Books, Broken Angel—Short Story, Children of the Resolution., If I Never., Literature, novels, Writing.. Tagged: Amazon Kindle, Angel, Broken, Broken Angel, Children of the Resolution., christmas, fiction, Gary William Murning, I, if, Kindle, Literature, Murning, never, novel, novels, Short story, William, Windows Phone 7, writer, Writing..
Now, yes, I know that Christmas seems to come a little earlier every year. And every man and his sister seems to be trying to sell you something (no, I can’t claim to be an exception, alas) – but as The Angel of the Lord once said (allegedly), I bring you glad tidings of great joy. No. Really. Cross my heart and… well, cross my heart. So let me just sum that up for you: two novels, one exclusive Kindle short story and a free Kindle application, should you need it, all for under £3. And, of course, without wishing to blow my own trumpet (though why break the habit of a lifetime), it’s bloody good fiction, too! Trust me, I’m an author. Joking aside, thanks again and I sincerely hope these offers are of interest – if not to you, then to someone you may know. Have Yourself a Kindle Little Christmas. Well, it’s that time, again. Blink and you miss a whole year. It whizzes by and before you know it you’re in the middle of yet another Big Freeze (surely by now we should be thinking in terms of Bigger Freeze), people are fighting in the aisles for the last turkey, G.O.L.D.’s showing The Vicar of Dibley Easter special and the rather suspicious bloke in the red suit with a predilection for chimneys and illegal entry can’t get into the country because Heathrow’s closed and Rudolph flat refuses to stick his dipsomaniacal nose out in weather like this. Yes, as Noddy Holder so eloquently put it, though with rather more enthusiasm than I can summon, it’s Christmas. … and when this thought occurs to me, a little smile starts to grow. Too commercial. When you have something to sell, isn’t that a bit like saying “too rich” or “too loving”. Isn’t this a situation where excess should be appreciated, celebrated, rolled around in and completely and utterly exploited? With an appropriately shameless and quite wicked glint in her eye? Abso-bloody-lutely! So how best to cash in on – I mean participate in – the Christmas spirit? I asked myself. Books make fantastic stocking fillers, and I’ve done pretty well over the past couple of weeks, flogging them like words were going out of style. People have been very generous and extremely wise in their choices. But what of that hithertofore unavailable market? The new Kindle user! What all these people need, obviously, is an electronic version of If I Never (and, yes, I do mean all). 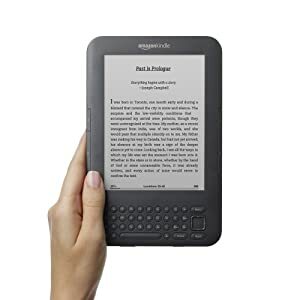 By all means, try before you buy, but trust me; a Kindle is no present at all without If I Never sitting in its virtual library. It’s like Kerplunk without the marbles! Or Buckaroo without the saddlebags! Well, that’s my writerly duty done. I can now with good conscience hang up my promotional hat for a few days and focus on vegetating in front of the TV. But before I do, I would like to say to all my regular followers, readers and friends – whether you’ve bought my book or not – thank you once again for all the support you’ve shown over the past year. The laughs have made it all worthwhile. Have a wonderful holiday however you celebrate it (or don’t!) Keep safe, keep warm – and if that strange fellow with the big white beard comes down the chimney, please don’t shoot him; it might be me, checking to see if If I Never has been preloaded on your Kindle. Russell Hoban’s Psychical Clear Space. A short, interesting piece featuring Russell Hoban in which he discusses the creative process. 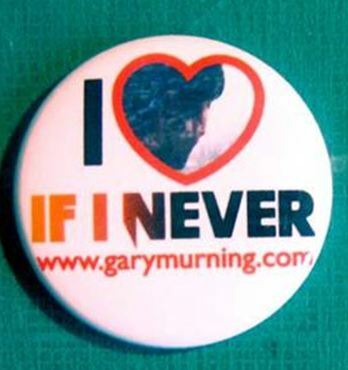 If I Never Christmas Badge Campaign. Today, it’s my great pleasure to announce my new – and, I think, rather spiffing – If I Never Christmas special. I’m very excited about it and know that you will be just as blown away by this fantastic offer as I am (no, trust me, you will… stop sniggering… look, I’m being serious… oh, okay – maybe not “blown away”, exactly, then, but you will think it’s a bit good… I hope). A couple of weeks ago I commissioned the very excellent Big Little Badge Company to produce a strictly limited edition run of I [heart] If I Never badges. When I originally discussed this with Paul at the BLBC, I wasn’t 100% convinced that they could create an image based on the If I Never cover that would work. But how wrong I was! The end result, as I’m sure you will agree, is pretty fantastic. So, the answer to the question I know you’re all asking. How do you get your hands on one of these shiny wonders? It’s really quite simple. Anyone who buys the book through Amazon in the run up to Christmas will, by sending proof of purchase to me by e-mail (click here), together with their postal address, be very promptly sent a badge. Those who have already bought the book and are buying another copy as a Christmas present for a friend have the choice of either keeping the badge themselves, or passing it on. I must stress that this is a very limited offer. I’m quite sure there will be enough to go around but – just in case there’s more of a demand than I originally envisaged – I would urge you to get ordering ASAP.